I was brand new to this author, but when Bethany House contacted us about checking out Blind Spot I was intrigued by the plot summary and cover depicting an FBI agent. I'm a sucker for a good mystery/suspense/thriller story; especially ones featuring intelligence agencies, spies, or espionage. It wasn't until after I received the book that I saw that it is the third in a series called Chesapeake Valor (and of course I've not read #1 or #2) and it is billed as "Romantic Suspense". Well, I had a pretty good idea that I wasn't in the target market for this book but I decided to jump in regardless. This novel is a fast-paced, action-packed narrative centering around FBI agent Declan Grey and several colleagues as they investigate a smuggling operation which turns out to be much more. The story is made up of a pretty intricate plot that has a whole lot going on. I was able to track with most everything with the exception of a few minor things due to the lack of backstory which I assume was laid out in the previous books in the series. Those few instances were not huge deals and I was able to figure out nearly everything as the story progressed. True to the label on the package, there is a liberal amount of romance that seemed a bit sappy and overly sweet to my taste. There is no explicit content, but the romantic moments seemed to happen at the oddest times and detracted from my enjoyment of the story a bit. The "suspense" half of the labeling is also present in high doses. Grey and company find themselves involved in car chases, exchanges of gunfire, ticking bombs, and much more. All of these high-energy moments keep the story moving along at a pretty good clip. Speaking of car chases and the like, there is also a significant amount of violence in the story. There are numerous deaths (some of which are described quite vividly), kidnappings, and lots of gunplay as alluded to previously. None of these bother me much, but I want to give a fair warning in case you are sensitive to those sorts of descriptions. Despite all the violence and crime found in the book, there is no foul language, which I found refreshing. The characters are fairly well-developed, though I never really felt a connection or attachment to any of them. With very few exceptions, they are relatively black and white; the good guys are good and the baddies are bad. No major internal conflict or struggles to make them easily relatable. It's not a huge deal, but worth mentioning. Pettrey's writing is great for the most part. I enjoyed her style and the pacing of the story. With the exception of a few instances of cheesy dialogue and slightly fantastical plot elements, I really enjoyed the story. Her language is not flowery or poetic, nor is it dumbed down. It is very approachable and conversational and has a perfect balance of technical jargon where needed and everyday vernacular for easy readability as one would expect from a modern fiction book. 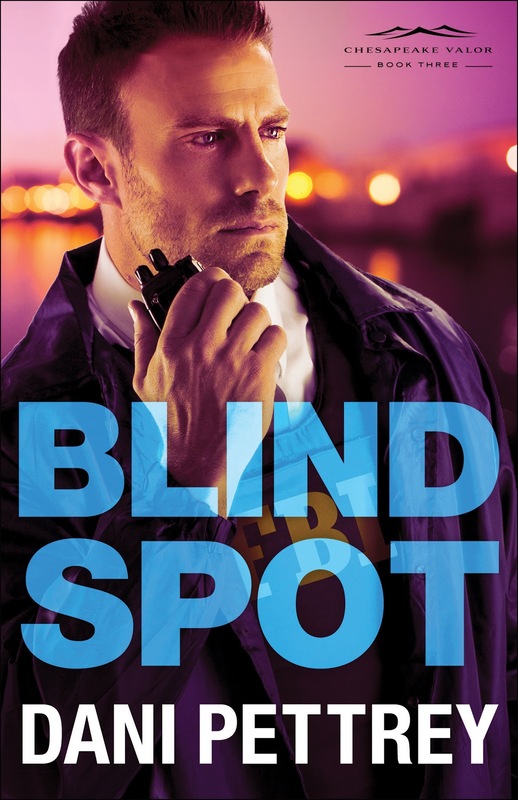 If you enjoy suspense thrillers featuring counterterrorism investigations with lots of non-stop action coupled with a little romance then you'll most likely really love Blind Spot. If this review piqued your interest, you may want to start with Book 1 of the series so as to not miss out on the full story arc. But if you choose to jump in at Book 3 you should still be able to enjoy this well-written novel. Purchase Blind Spot (Chesapeake Valor - Book 3) on Amazon. Disclosure: The publisher provided us with a free copy of this book in exchange for an honest review. This post contains affiliate links.